When you choose us for landscape designs in Oak Hill VA, we’ll work closely with you to create a custom design that reflects your sense of style and maximizes functionality. So if you’re ready to see the difference our custom landscape designs can make to your home, request a consultation today or call us at 703-533-5001! 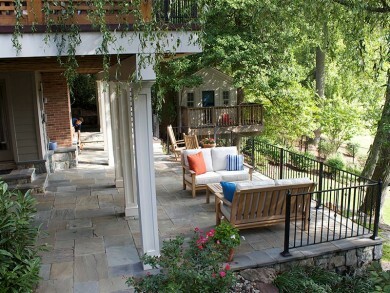 Whether you want a comprehensive master plan for your entire property, a hardscape Outdoor Living Space design, or an outdoor lighting design, O’Grady’s Landscape is the Oak Hill VA landscape company to call. Our Loudoun County landscape designers pay careful attention to each detail to help you accomplish your goals on schedule and within your budget requirements. What’s more, we have a large selection of materials to help you customize your design to meet all your needs and more. If you’re ready to see the difference a custom landscape design can make to your home, request a consultation today or call us at 703-533-5001! We want to make your Loudoun County property spectacular. 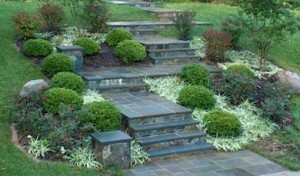 O’Grady’s Landscape is a full-service landscape company serving Oak Hill VA. Established in 1991, we provide a range of design, build, and maintenance services for residential properties in the area. By offering a wide variety of services, excellent project management, and timely customer support, we serve as a one-stop-shop for all of your landscaping needs.